Now that it has been almost three weeks since we shared our final thoughts on the OnePlus 5T in our review, we thought this would be a good time to loop back and finish out our content series for it. We’ll do that by offering up the 5 reasons we think this is a worthy phone buy. Long-time readers of the site know that our 5 Reasons series is a simplified review of sorts, where we give you the basics on why a phone checks off some of the important boxes and is worth considering. We don’t do this for all phones because not all phones have enough reasons for you to buy, but the OnePlus 5T certainly does. For the OnePlus 5T, there are a number of highlights even over its slightly younger brother, the OnePlus 5. 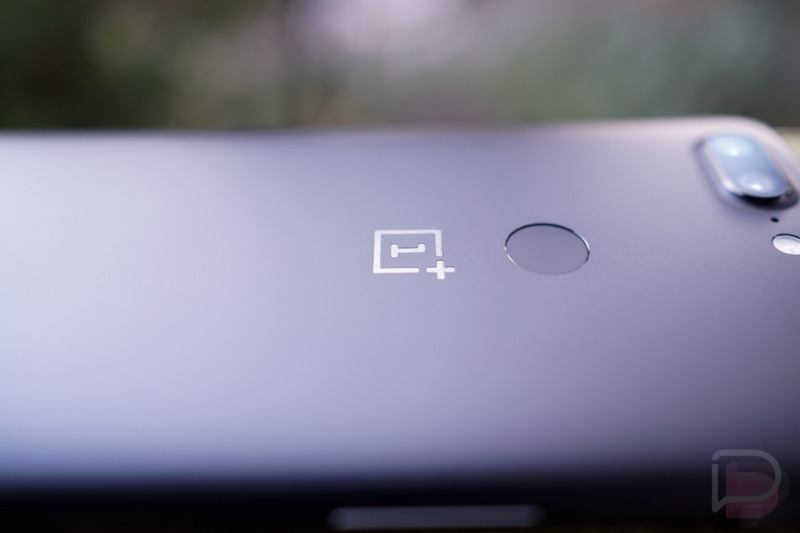 You’ve got an upgraded display and upgraded dual camera for one, but you get equally impressive battery life, software and performance that are tough for anyone to beat, and a price that is no joke, even if OnePlus does seem to keep raising them. Here are 5 reasons the OnePlus 5T is worth buying. With the OnePlus 5, there was no denying the fact that OnePlus missed a big opportunity to get in early on the all-display, little bezel trend. 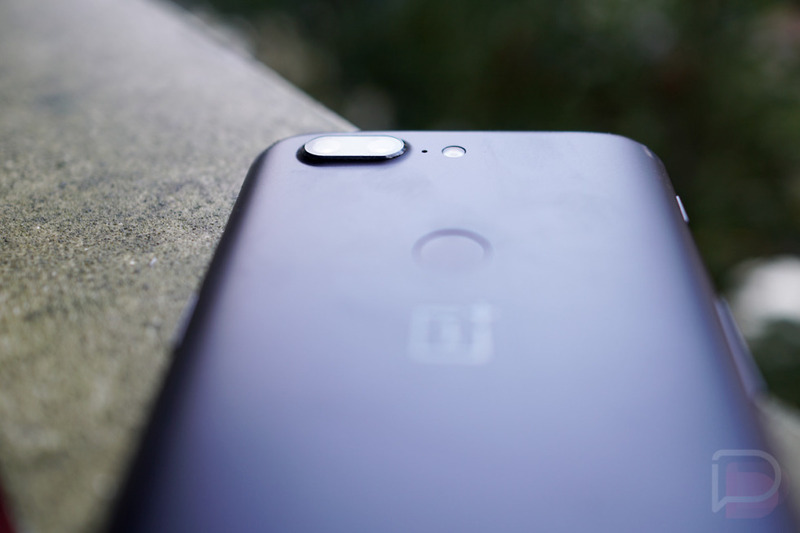 Instead, the OnePlus 5 lagged behind its rivals and pushed out a design that looked straight out of 2016, even if it still had some redeeming qualities. 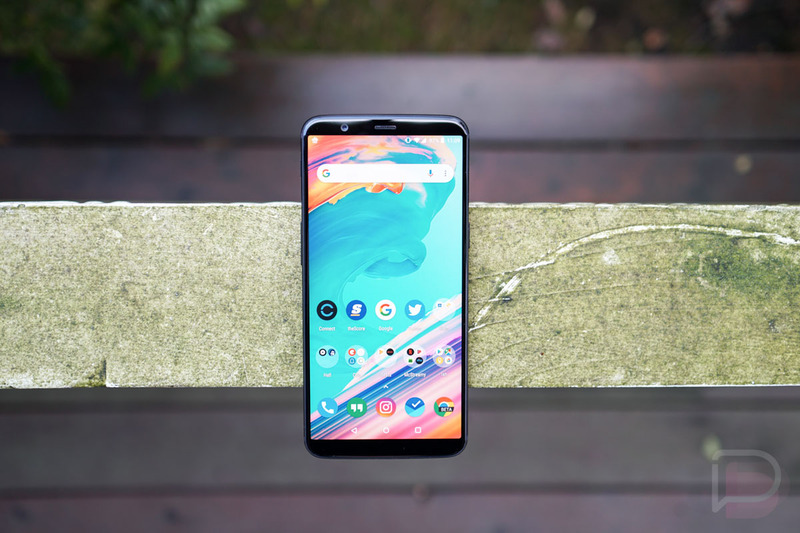 With the OnePlus 5T, OnePlus gets it right and gives us a 6-inch FHD AMOLED display that takes up almost all of the front while moving the fingerprint reader to the back. This phone feels like it belongs in 2017. Not only does it provide an all-display front, it does so with the trendy 2:1 aspect ratio and tons of extra bells and whistles, like night and reading modes, color profiles, and on-screen buttons. I think the brightness levels are good on both ends and the 1080p resolution probably helps with phone’s stellar battery life. Let’s also not forget that it does all of this without increasing the phone’s overall size by much when compared to the regular OnePlus 5. I’m not sure OnePlus did anything wrong with this upgrade. 2. I love this software experience. OnePlus continues to nail the software experience on its phones. For one, they keep giving us a stock or pure Android experience, but then they add on their own upgrades. So you get Google’s version of Android along with subtle tweaks that introduce value, fun, and improvements. I always like to point out the various gestures that OnePlus includes, like those that allow you to turn on the camera or open an app from the lock screen. I also like the included 3-finger swipe for taking screenshots, double tap to wake, and the new long-press on the fingerprint reader that lets you take a quick selfie. But outside of gestures, OnePlus lets you use custom icon packs, change up the theme of the phone, customize the on-screen software buttons to do all sorts of stuff (like sleep the phone, open notifications, etc. ), schedule times for your phone to turn off and on, and even hide icons from the status bar. So OnePlus doesn’t overwhelm you with customizations, but they are giving you just the right amount to make the phone a really powerful tool. I should mention software updates, though. For now, it’s looking like OnePlus is getting better or quicker with updates for its current phone of the year. That means phones like the 5 and 3/3T already have Oreo updates on some level and the 5T should get it before long. Just keep in mind that OnePlus isn’t great about updating phones over the long haul. 3. Welcome to the party, camera! The dual camera setup in the OnePlus 5 was a pretty average one. In fact, it was the reason I told you to pass on the phone. We’re living in a time where your camera needs to be really good because everyone else’s cameras are already really good. This is a dealbreaker area that, as a phone maker, you have to get right. OnePlus didn’t with the 5. With the OnePlus 5T I think they did. They still went dual camera (16MP + 20MP, both f/1.7), but instead of a secondary shooter that zoomed, they added a special low-light camera (the 20MP shooter) that attempts to combine pixels in order to capture more light and enhance them properly when in dark situations. I think both shooters capture solid photos that you’ll be proud to share or look back on years from now. The Pixel 2 cameras still reign supreme, but OnePlus is starting to show that it can get better in this area. During my first few days of testing the OnePlus 5T, I wasn’t overly impressed with its battery life (3300mAh). And then during the final few days of testing, something seemed to change and it became a battery god. We’re talking 4-5 hours of screen on time before going to bed, only to wake up with 25% battery left. Initially, I felt like I needed to look for a charger before bed, but then that all changed and I was not having to until the next day after heavy usage. On top of the stellar battery life, don’t forget that the phone sports OnePlus’ Dash Charge, which I still think is the best battery charging tech in the game. You get ultra fast charges whether you are using your phone or it’s sitting idle, plus it never heats up, because OnePlus pulls the heat from the phone as it’s juicing up. It’s a phenomenal charging experience that you almost wish you could use more often even if you won’t need to. 5. Yep, the price is still killer. 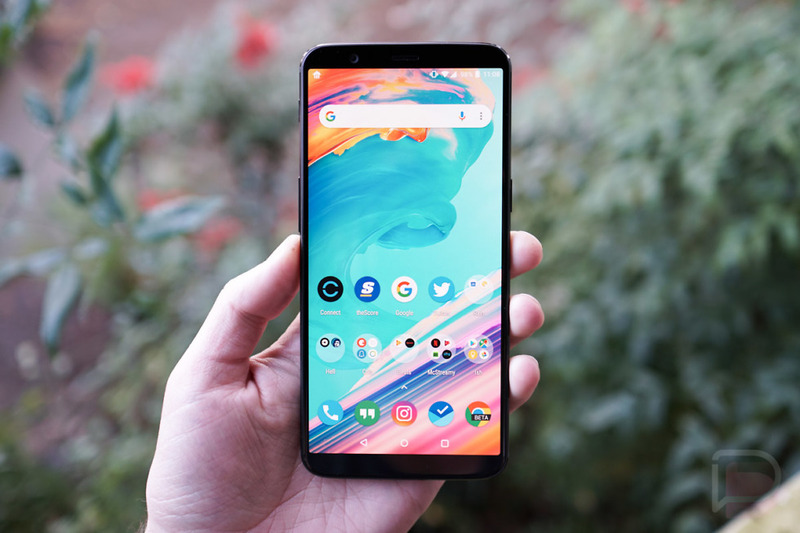 I know that I’ve railed against the OnePlus price creep that we’ve witnessed with each new model, but I can still admit that the OnePlus 5T is a heck of a value. Even as we were once buying OnePlus phones at $299 and now only a handful of years later paying close to double, they still undercut rivals by hundreds of dollars in some situations while offering an equally good experience. At $499 (6GB/64GB) and $559 (8GB/128GB), we’ve got a set of specs and software experience that I’d take over some of the phones from LG and HTC. And if my budget topped out at around $500, then I wouldn’t even hesitate to pull the trigger.